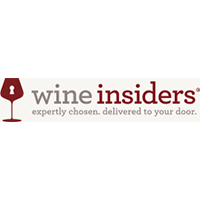 Wine Insiders gives you the opportunity to shop for a huge range of wine products. You can purchase a variety of different bottles of wine, but you can also use Wine Insiders to purchase wine gifts for others, or sign up for the website's own wine club. You can use this website to shop for red wine, white wine, assortments, and collections. You can also shop according to your price range. You can even use this website to focus on the type of assortment that appeals to you. There are mixed assortments, red wine assortments, white wine assortments, and even six-pack assortments available for purchase through this online wine retailer. For most up to date offers check out Wine Insiders on Facebook and Twitter or and Twitter or contact Wine Insiders Support for any questions.